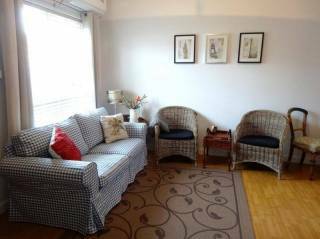 This 2 storey townhouse is on the doorstep of King William Road's cafes and boutiques. Fully equipped modern kitchen with Dishwasher, microwave, oven, and fridge/ freezer. Ideal house for the family and executives. Ambler Cottage is a quiet, secluded, fully equipped 2 bedroom / 2 bathroom executive residence. Located 150m from Adelaide’s South Parklands, in historic and tourist Unley, Ambler Cottage captures the charm and convenience that only Adelaide can offer. 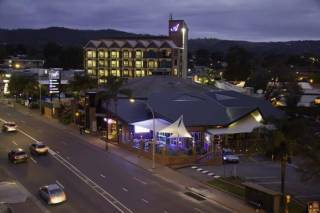 The Arkaba Hotel offers 62 elegantly appointed guest rooms ranging from our standard rooms, designed to cater for all tastes, to our luxurious spa suites. 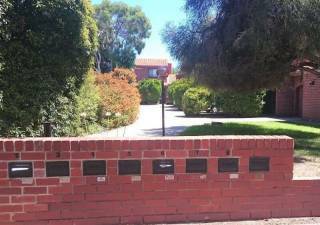 Located in Adelaide’s leafy eastern suburbs gateway to the Adelaide Hills and minutes from the CBD. 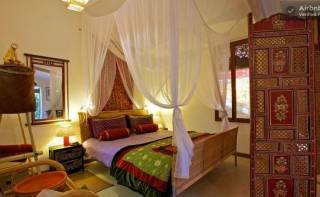 Charming balinese style bungalow,quiet tropical garden setting, stylishy decorated with authentic Indonesian furniture and artworks. Walk to the c.b.d and all amenities. Great selection of Cafes and restaurants just around the corner. 2 bedroom ground floor apt in an exclusive suburb. A short walk to viibrant King William Road with some of the best shopping boutiques, cafes and gourmet restaurants. Only 4kms to the city of Adelaide with excellent public transport links. 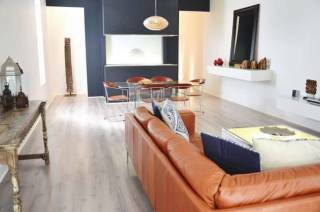 Experience the latest in style and luxury accommodation with these well appointed apartments for rent in the Embassy Apartments. Situated in the CBD opposite the Adelaide Convention Centre, each apartment has spacious and functional. 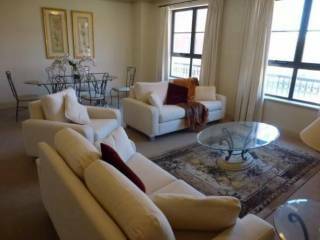 Luxurious 3 Bedroom Self-Contained Apartment in the heart of the East End of Adelaide. Go on try us! This is one of 3 of our 3 bedroom apartments all in the East End of Adelaide. Refined elegance and style are reflected in every element and feature of this 3 bedroom and 2.5 bathroom (including a spa bath) self contained apartment in the East End of Adelaide only a short stroll away from Hutt and Rundle Streets. Absolutely breathtaking! Refined elegance and style are reflected in every element and feature of this 2 bedroom and 2 bathroom self contained apartment in the heart of the East End of Adelaide only seconds away from Rundle Street and all its delights. This beautifully appointed apartment offers every luxury and amenity you could imagine and it is ideal for family holidays, extended stays and romantic getaways. Just outside the door off the balcony you will see the beautiful parklands views. 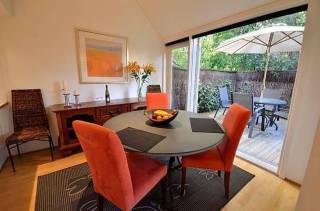 A beautifully presented cottage with good access to all retail and leisure activities. 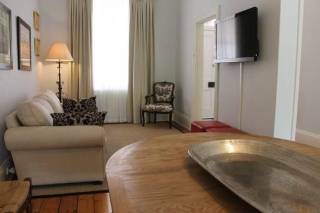 The Guesthouse has recently been styled to provide accommodation for people who appreciate quality. Delightful two story town house located just minutes from one of Adelaide's most popular lifestyle streets, Hutt Street. The town house features living room, separate dining area, double bedroom and study area with an additional single bed. Our penthouse apartment is smack bang in the middle of everything. Situated just a short walk to Adelaide Central Markets and the Gouger St restaurant district, you’re also within walking distance to all that Adelaide has to offer! The Angas is an updated 2 bedroom 1 bathroom property that sleeps 4 in hotel grade beds. The property can accommodate up to 6 guests utilising 2 fold out beds.